RM TV Solutions - TV Aerials/Satellite Services based in Seghill, Northumberland. 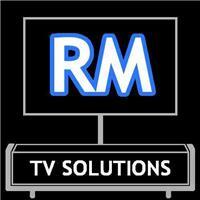 RM TV Solutions - Is a Local based company, who specialise in Home Entertainment. Catering Everything From a TV Aerial to a Home Cinema Room. We Pride Ourselves on having a Good Name. That's why we meet the needs of each individual customer to their Exact Requirements. FREE Advice / Estimates + FREE Long Guarantees. Our family run business prides itself on delivering a high quality service on all of our jobs, no matter how big or small. This attention to detail gives us many returning customers. We Offer Free Estimates on all types of work, with no obligation. Signal problems and CCTV are just some of the Many Installations we provide.